In the early 1800s, the Parish of Brighton possessed just a single basic fire engine and fires were generally attended to by fire inusurance companies. Having just been shown around Preston Circus Fire Station by my friend, firefighter Mark White, I can happily confirm that the situation has now changed somewhat! Fortunately, the 1825 Brighton Town Act allowed town commissioners to provide more fire engines. 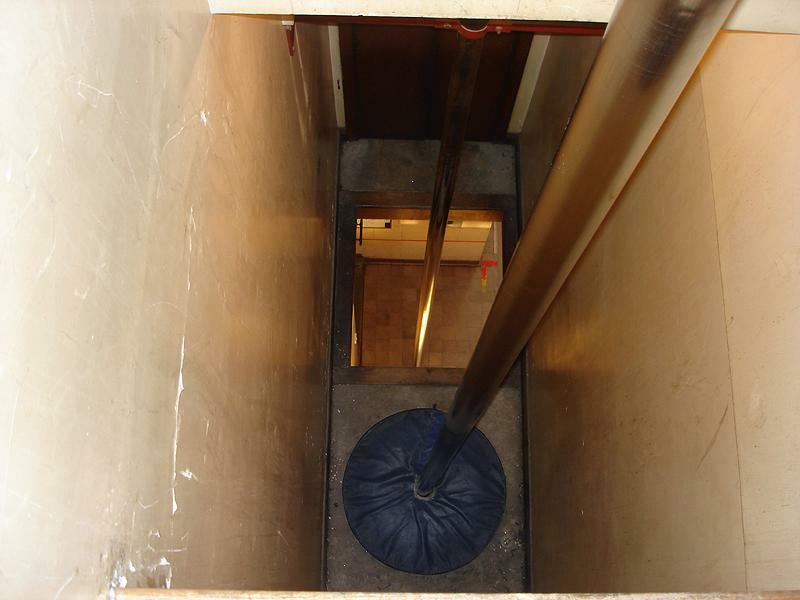 This led to the 1831 formation of the Brighton Fire Establishment which consisted of 3 fire engines, 1 salaried engineer and 28 men who were paid for attending fires. The local fire service has taken various names and forms over the years. It is now called East Sussex Fire & Rescue Service and is overseen by East Sussex Fire Authority which is made up of Councillors from both Brighton & Hove City Council and East Sussex County Council. The junction at Preston Circus was widened in 1901 to allow tram lines to be laid between Beaconsfield Villas and Viaduct Road. For this to take place, it was necessary to demolish much of the large Amber Ale Brewery. Some of the remains became a fire station at this time. Interestingly, the Aquarium roundabout (by the Palace Pier) of 1925 along with those at Seven Dials and Preston Circus which followed soon afterwards are amongst the first in the country. Brighton & Hove is today covered by stations at Preston Circus, Hove and Roedean which have 3, 2 and 1 fire engines respectively. 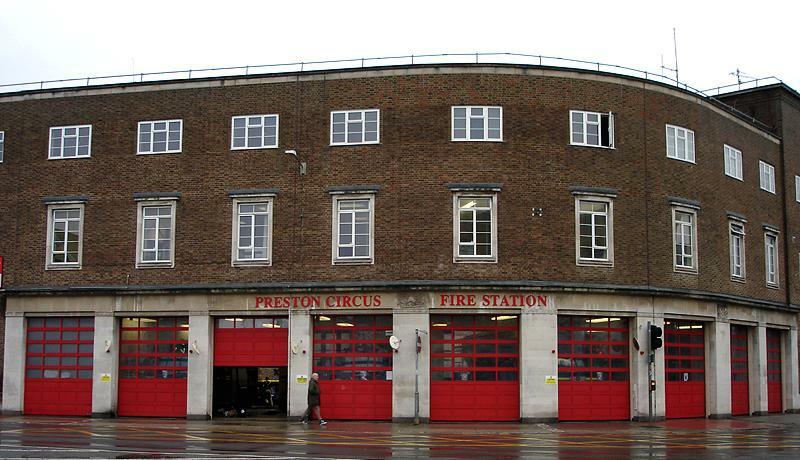 The current Portland stone and brick Preston Circus Fire Station nestles between the Duke of York’s Picturehouse and the Railway Mission. It was designed by Graeme Highet and opened in 1938 by Earl Winterton when Charles Birch was Chief Officer of the Brighton County Borough Fire Brigade. Thankfully, many of the adorable internal Art Deco features have survived well including terrazzo and parquet floors, intricate banisters and brass door fittings. Coloured bulbs, corresponding to different emergencies, are scattered everywhere for obvious reasons. I was asked to mention that the station’s six poles are amongst the biggest in the country! Our local firefighters have had a tough time over the years and many lives have been lost. But when Mark and the rest of the team had to jump into action to attend a fire (just as my tour was ending fortunately), I knew that the residents of Brighton & Hove were in safe hands.